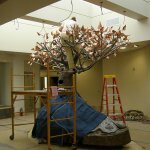 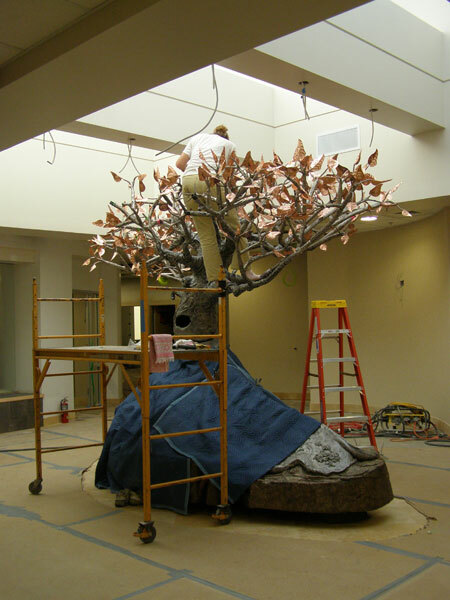 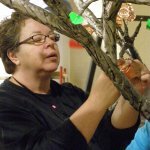 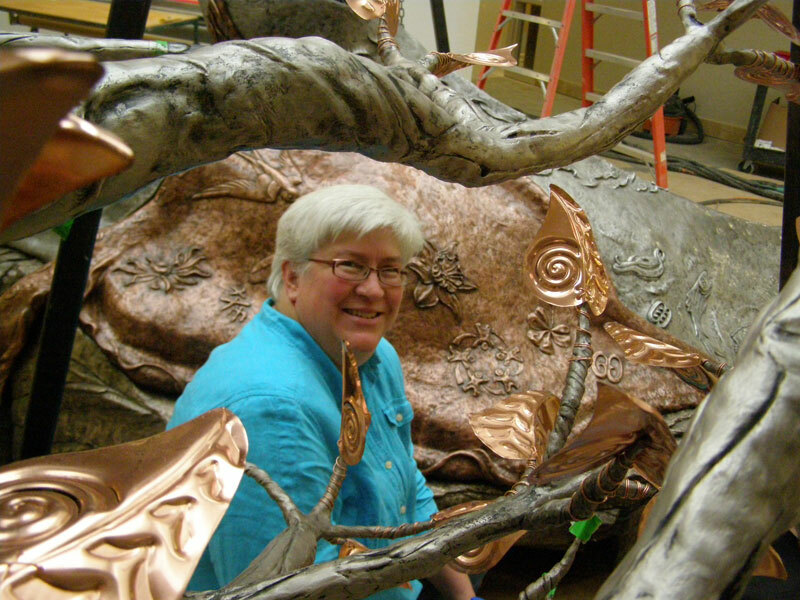 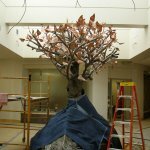 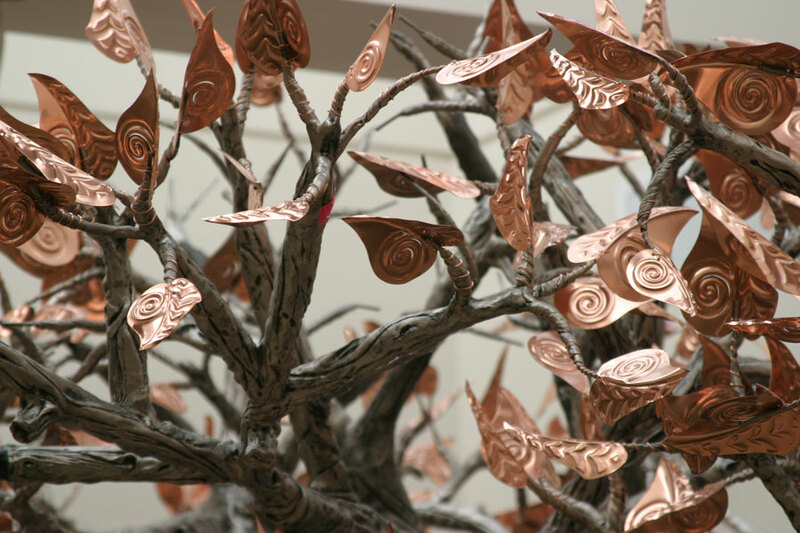 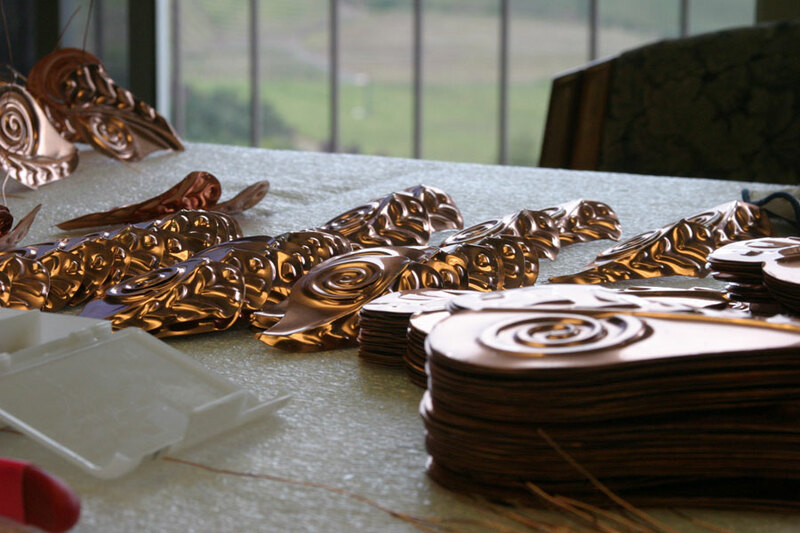 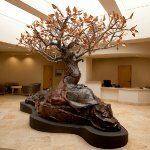 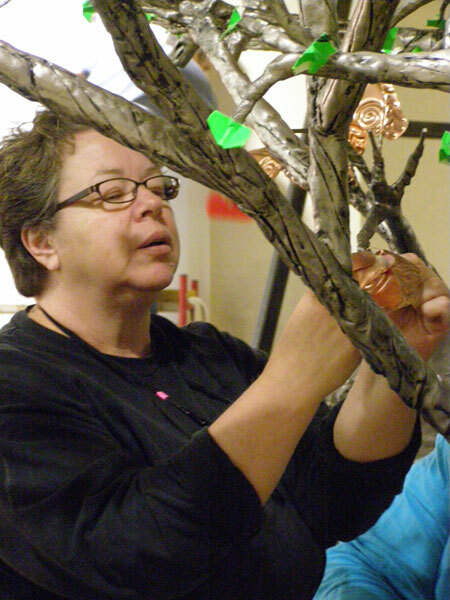 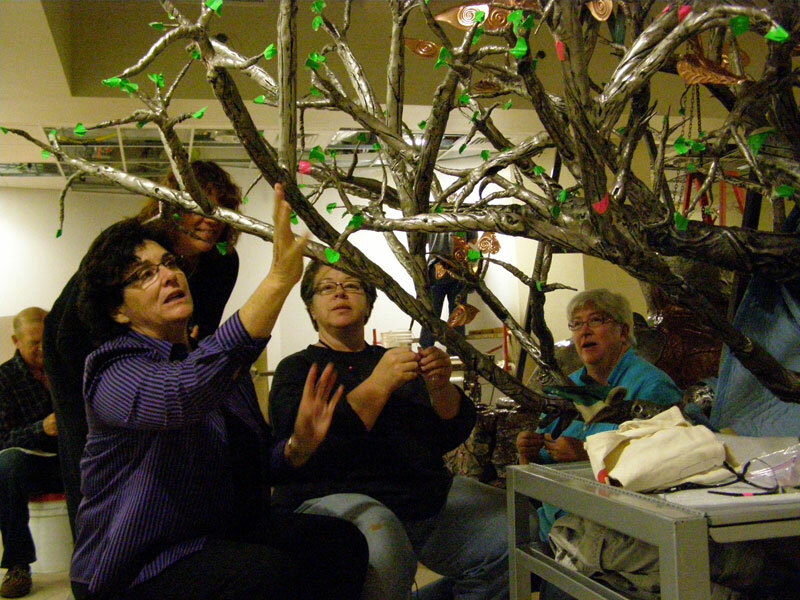 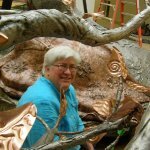 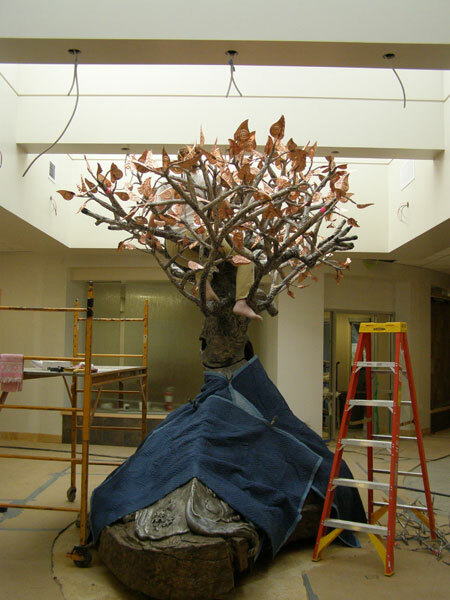 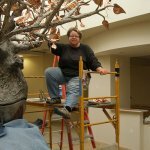 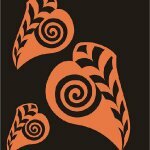 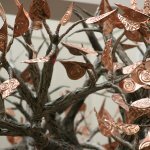 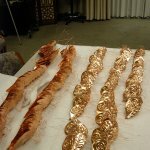 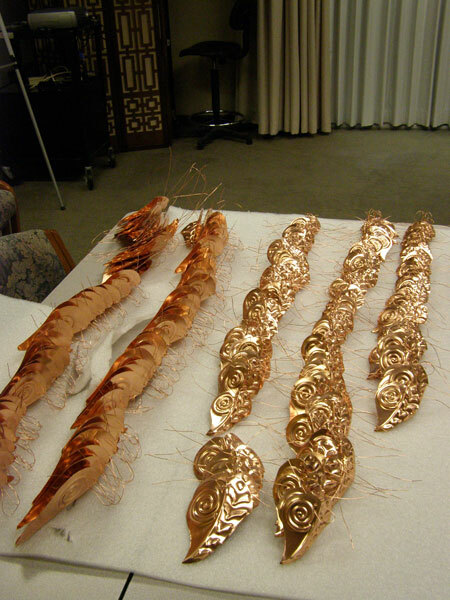 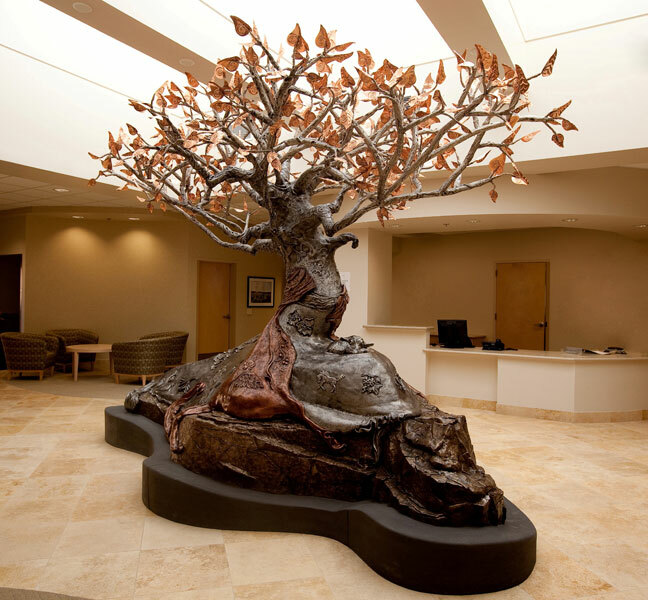 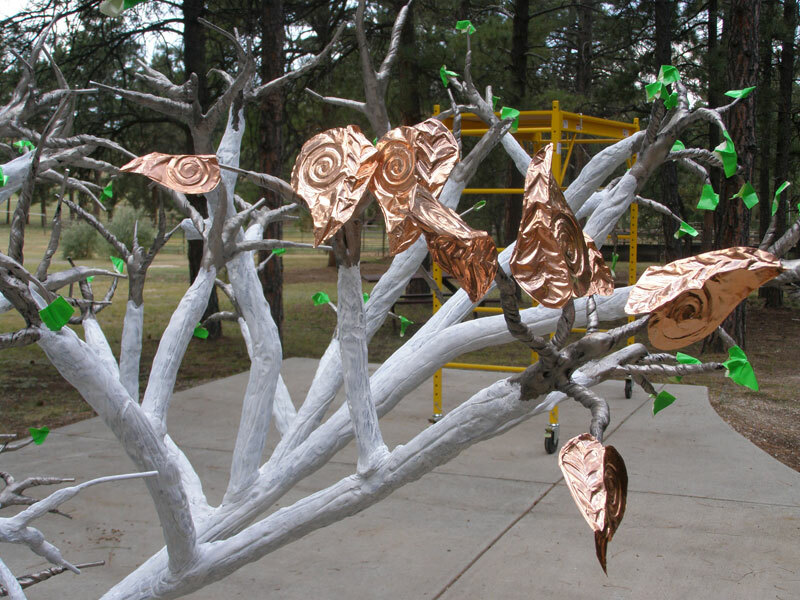 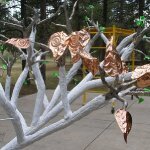 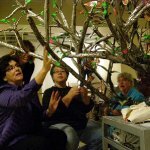 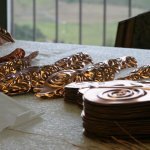 We did not dare let the Hope Tree travel with her over 600 hand made copper leaves in place. 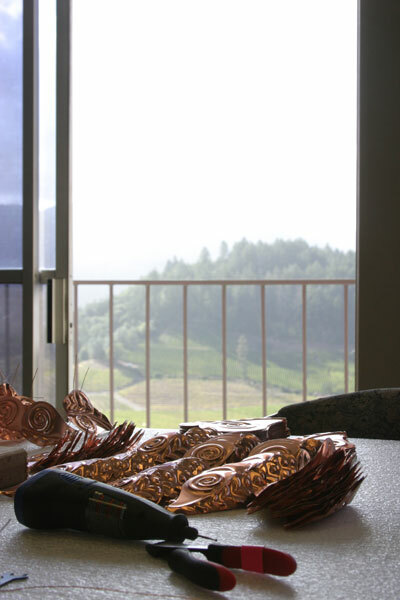 The vibration over those thousands of miles would have been to much. 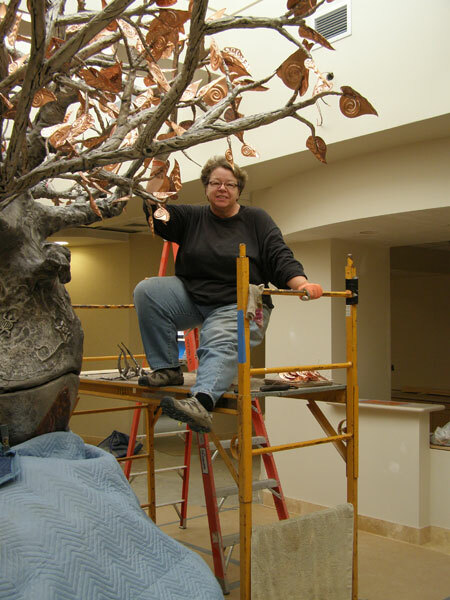 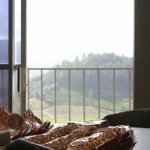 So when the rest of the installation was complete - it was time to climb the scaffolding one more time and apply each wired copper leaf individually by hand. 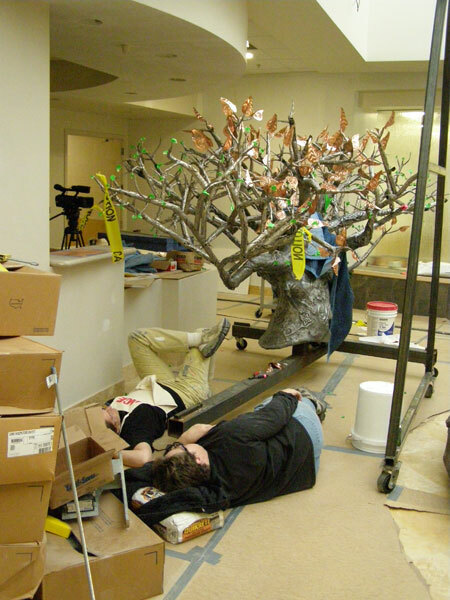 See if you can spot Beth’s foot dangling from the canopy like a mistake in some Where’s Waldo Puzzle.